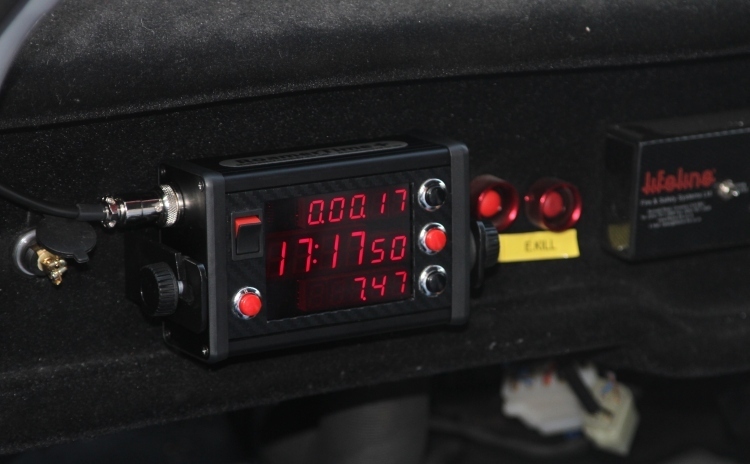 Tested in a variety of vehicles and on events, RoamerTime+ is a unique and simple combination of Clocks, Stopwatches & Trip meters. A quick release mechanism to an easily mounted bracket allowing adjustable fitting in all types of vehicles. This also means that the unit does not have to be stored in the vehicle after use, but safely in your kit bag if preferred. Can be used in a variety of situations, table top events to bedside clock. Your choice! 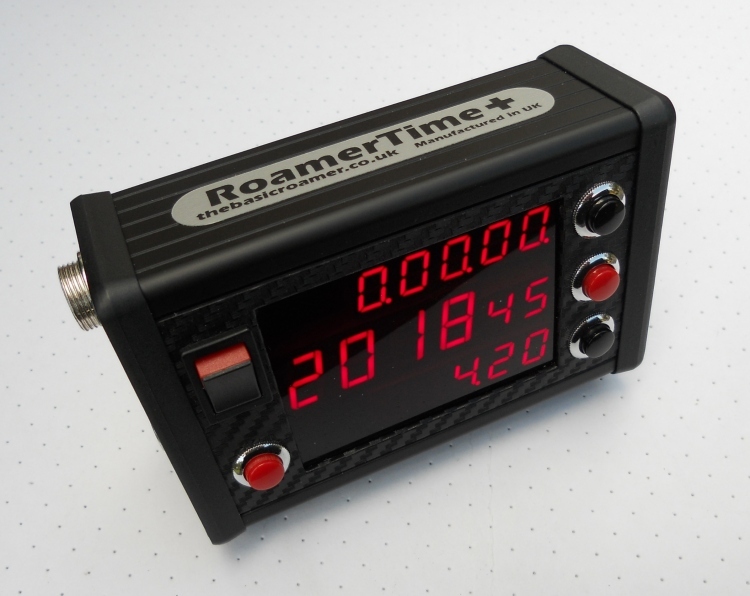 RoamerTime+ has a robust metal case with a front panel comprising an on/off toggle switch, three lines of 7 segment LED displays and 4 multi-function buttons. The left hand end panel has an 8-way socket for connecting the remote unit or splitter box, the latter allowing power, distance sensor and remote unit connections. The right hand end panel has a DC power socket for external power when a remote unit is plugged into the 8-way socket, or the 8-way socket is not used. Each end panel also contains an M6 captive threaded nut for clamping the unit to its mounting bracket via the supplied thumbscrews and rubber washers. 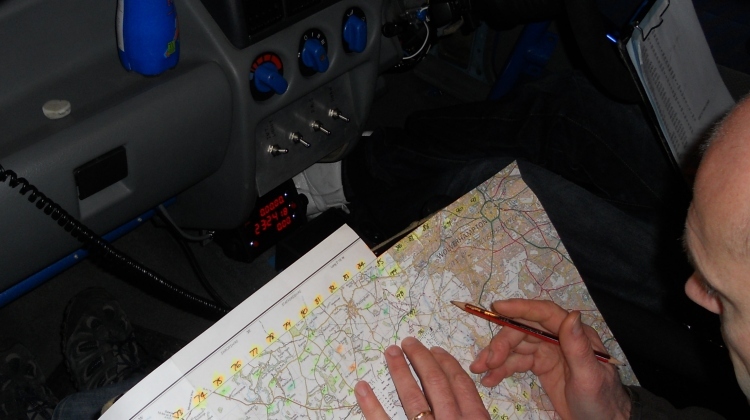 Totals Mode - time of day plus distance travelled and total time taken - for checking or recording the total distance travelled, plus the total amount of time that the vehicle has been moving.